Google is everywhere nowadays, they’ve been building wind farms, developing set top boxes for TVs, creating cars that can drive themselves, developing Android and other open source smart phone software, developing their own desktop computer OS and the list goes on. 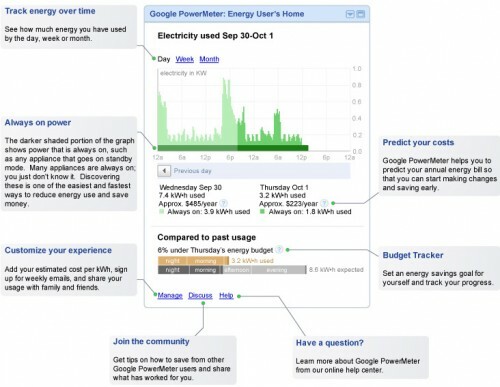 One of Google’s new creations is Google PowerMeter, a new service that interfaces with your smart power meter to give you daily readouts of your energy usage as well as great ways to reduce it, right on your computer, next to your email. This sort of service is going to become even more important as we begin to see more electric and plug-in cars being charged at home. 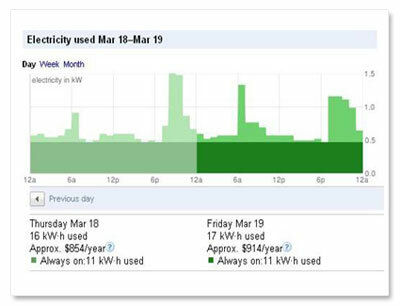 It’s a free service and so long as your utility provider is amongst those listed, it’s worth taking it for a spin, it’ll save you money and might even save the planet. 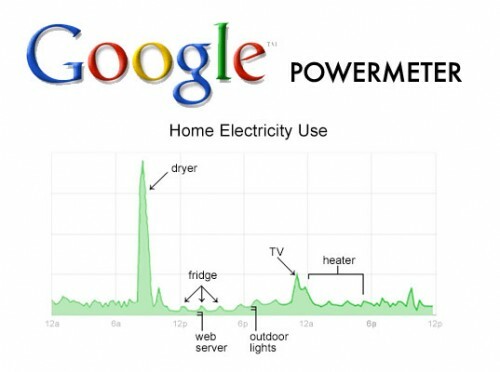 Google’s list of utility partners currently supporting Google PowerMeter is here and the official FAQ is here. I was trying to get it working, but I couldn’t. My provider in Germany don’t supply the smart meter required.